I've been making little shortcuts here and there around the house to try and use less things from boxes and cans. Lately I've been doing this with seasoning mixes. I was surprised at how many of the seasoning packets could be made with stuff I have on hand. Why didn't I think of doing this before?? This particular shortcut recipe comes from a blog called $5 Dinners. Erin has a great collection of recipes and ways to save and cut costs in the kitchen. 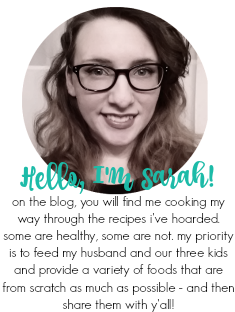 Her blog is definitely worth checking out! Gently stir together all ingredients. Store in a ziploc baggie or small canning jar. We love to use this in Ranch Style Spaghetti and 3 Envelope Chicken. You can also make it into ranch dressing by whisking together 1/3 cup mayo and 1/4 cup milk with 1 tbsp. of the mix. It can be stored for up to 3 days in the refrigerator. Makes about 4 tbsp - 1 packet. 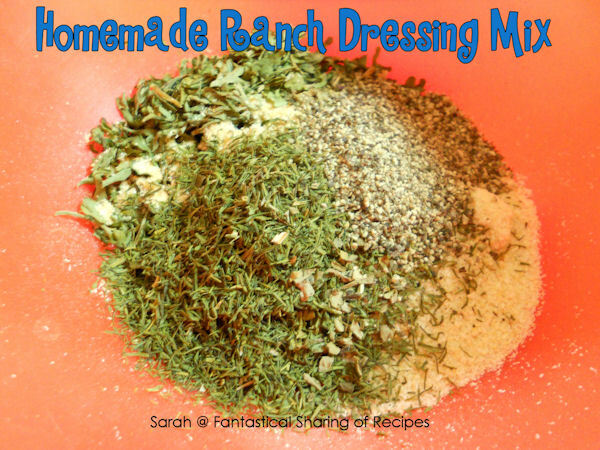 I would love to try and make my own ranch dressing, thanks for this!